Austcare , ( now aligned with Action Aid) is a humanitarian aid and development organization established in 1967 in response to the International Year of Refugees, which specializes in providing emergency relief and sustainable development to refugees, displaced people and communities affected by landmines. Since Major General Smith has been CEO, he has led the organization through some major changes. In that time, Austcare has doubled the amount raised annually through fundraising, significantly increased staff numbers, lowered staff turnover and rehabilitated its reputation as an employer in the overseas charity sector. But according to the CEO, Mike Smith there is still much more to be done if Austcare is to further reduce poverty levels and enable beneficiaries to live in dignity. Before former Major General Mike Smith’s arrival, Austcare had branched from its traditional focus of assisting refugees in emergencies to include longer-term development projects in countries recovering from war, such as landmine removal in Cambodia, Afghanistan and Mozambique, and food security in East Timor and Zambia. Although very supportive of this work, He felt that Austcare should not neglect its core business of emergency relief to refugees on which Austcare’s reputation and expertise had been established. Indeed, he felt that responding effectively to emergencies would demonstrate Austcare’s relevance to the community and provide an entry point for longer-term poverty reduction programs based on building the capacity and sustainability of local communities at the grassroots. However, the slow response of some team members during recent emergencies made him question the viability of his approach. He needed immediate action, while some of his very competent project staff were more comfortable with methodical long-term project planning. The demographics at Austcare were interesting too. Accustomed to leading a mainly male military workforce, Major General Smith encountered a work team consisting primarily of young, well-educated women committed to Austcare’s ideals and who were prepared to work for salaries thirty percent below those available in the corporate sector. Their passion for Austcare resulted in a level of staff engagement rarely seen in other organizations. But as the saying goes, too many cooks spoil the broth. So, when passionate debates between employees recently slowed the Board’s decision to rebrand, Major General Smith sought outside assistance to help resolve internal tensions and maintain the momentum for change. Austcare’s significant growth had also affected the team’s performance. The organization structure had changed with the closure of state branches and the opening of three overseas offices. The head office in Sydney had grown from 12 to 30 employees and from 10 to 40 volunteers. But the real expansion had occurred overseas, from just a few people to more than 60 in its overseas projects, plus a totally new program to deploy Protection Officers to UN Agencies in some of the world’s toughest situations like Sudan. Major General Smith could see that some staff were feeling burnt out because of this rapid expansion. Aware that Austcare lacked unity on the best way forward, Major General Smith sought help from us at Walker Wilson Associates Pty Ltd. Major General Smith felt that he could work with and trust us to assist senior managers and their teams. We approached the situation pragmatically. Major General Smith needed help understanding the strengths of the management team at Austcare and the team members needed guidance to become high-performing and self-directed teams. To create an environment of understanding and improved communication between team members, I started by using the Team Management Systems instruments. The Team Management Profile (TMP) was administered to help Austcare’s senior management team understand each other’s preferred work style. 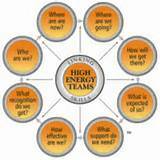 Then I gave them an overview of the High-Energy Teams Model so they could work through their performance issues. I then held a session with the Austcare senior management team to discuss the Profiles. We asked the management team to guess where each other sat on the four work preference measures used in the Team Management Profile. With this perception exercise, the managers were able to gain a better understanding of where others are coming from and that staff members may have very different preferences in work styles. Amazed at how insightful and accurate the Profiles were, the participants each prepared a chart that indicates ‘The Best Way to Relate to Me’. These were placed above their desks and helped improve relationships between team members. When people have similar Profiles, it is easy to get along. The Team Management Profile shows you the strengths and work preferences of people you may find harder to get along with. I think that is its most powerful use. “Because of my military experiences and my Profile split between Thruster-Organizer and Creator-Innovator, I value people who can take action quickly. But not everyone is like me. The work we offered in the past, combined with being a charitable organization, have attracted idealistic people with preferences at the top of the Margerison-McCann Team Management Wheel. To prepare for our renewed focus on emergency work, I realized that we would probably need to recruit people with a Thruster-Organizer preference to supplement our team. 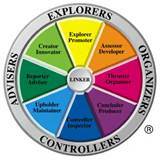 We’ve also used the Profile to make educated guesses about our stakeholders. Now we are matching our approach to the way we think they prefer to operate. We even try and match them with people from our team who share a similar Profile, although our limited resources place limitations on this approach. With a strong foundation established using the TMP, I then applied the High-Energy Teams Model to help Austcare address the organizational changes that come with growth, and to think about Austcare’s future in a more strategic way. According to Major General Smith, this was a great opportunity for change to be driven by the management team, rather than being directed by him. � Where are we now? � Where are we going? � How will we get there? � What is expected of us? � What support do we need? � How effective are we? � What recognition do we get? Major General Smith is delighted – both because he feels the model will clarify what the team should be doing, and because his managers are taking more responsibility for achieving their goals. “I know I’m often impatient – as my wife has reminded me for more than 30 years – but Austcare needs to continue to transition into a more dynamic organization if we are to remain relevant in an increasingly competitive market that is now dominated by large international charities.